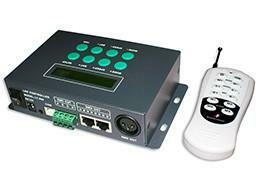 LT-800 DMX512 Controller is the output signal of international standard DMX/1990. It not only can control all the LED lights in the market as long as can receiving the standard DMX signal, but also can work with our DMX Decoder to control general LED lights without DMX512. LT-800 DMX512 Controller is easy to operate with a LCD screen. 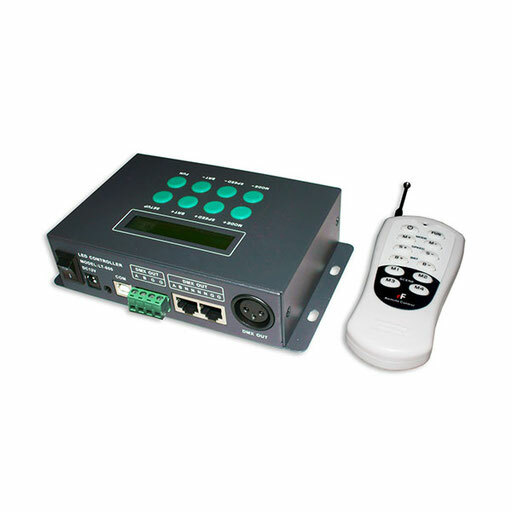 available with wireless control and keying control on the changing modes, speed and brightness, automatic timing and more than 580 modes for your choices. 1. 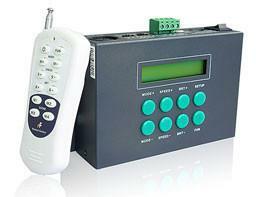 With LCD screen,easy to operate in showing all functions. and Meteor shower trailing, etc. 4. Multilevel changing speed, brightness and RGB grey scale adjustment for your choices. 5. Feel free to define many changing modes into a step, 8 independent cycle steps maximum. 7. Support different output ports like standard XLR-3,RJ45 and Green terminal. etc. 8. With the functions of anti-interference and automatic breakdown recovery.